Tonight on GeekNights, we review Doom (2016). It's a worthy successor to the Doom legacy, though it has a touch of Half Life 2 and never really backs you into a corner the way its ancestors did. It's basically MAP08: Tricks and Traps from Doom 2. In other news, Super Mario Run is out, with half the world saying it's great and half the world flipping out that it costs money. 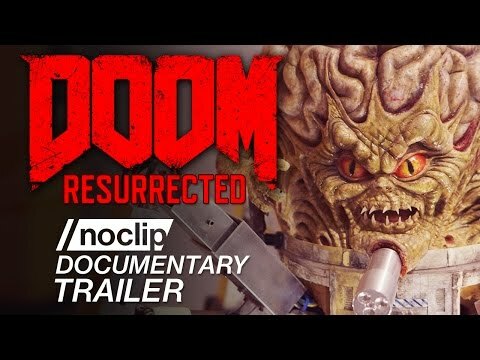 An excellent new doc just came out from Danny O'Dwyer on Doom 2016, watch it! I used to be an active modder with classic Doom. I know a frightening amount about that engine. Remember Sectors and Linedefs and Sidedefs? I remember sectors and the like from the Build engine, as well as hitag, lotag, and of course everyone's favorite lazy hack, the SectorEffector sprite. All well documented, except the keyboard command to actually assign those tags to anything, at a time when I had no internet. (No, I'm not still bitter.) Good times. I haven't played the new Doom yet, a bit beyond my GT440 I think. I've heard that it bears some superficial similarity to the Brutal Doom mod, though based on what Rym & Scott said I think I'd prefer a free mod to a 20+ year old game to a brand new AAA title. You don't need to restart the level on Super Mario Run. You can hit the bubbles in the top left to go into bubble mode. It takes a bubble. I remember stair heights where if you were not careful the stairs would look good but you couldn't climb them. I'm convinced there will be later levels where you actually *need* to use the bubbles to be able to collect from alternate paths. Anyone actually drop the $10 to find out? AV Club pegged it as a "completionist's nightmare" which honestly sounds spot on. I don't think I'm going to be paying the $10, as silly as that sounds, because yes, I dropped $50 on Hearthstone packs for this latest expansion. If I get bored one day, I may drop the $10 just to burn through the levels and see the design. Even better, you could design stairs that you could go up, but NOT back down. I still haven't completed level 1-1 of Mario Run yet. Yeah, I got up to black coins on all the world 1 levels and got the black coins on 1-1. I found myself wanting to play it on more than one occasion when I was sitting around and was sort of waiting to see whether I would get bored or keep wanting to play. Eventually I got tried of playing world 1 and wanted to see more so I dropped the $10. If you are interested in getting all the coins then there is some definite challenge there. And they seem to restructure some of the levels when you go in for a different coin set. I've messed very briefly with rally and I don't see myself going back to it that much. Although I'm curious if it leads somewhere. When talking about the Doom music being a version of the old music, I'm surprised you didn't bring up the music in Mario Run. The theme of Kicking it Underground (1-2) is a lot of fun! Here's my Mario Run friend code too btw. 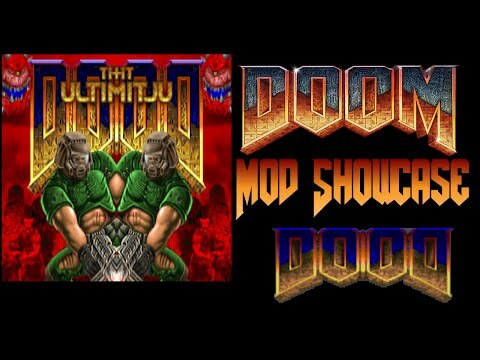 Get ready for the craziest DooM mod you've ever seen - DooD! And also DooD 2 in this release. It reverses EVERYTHING by a half (ok, almost things) - pictures, sounds, music and even maps!